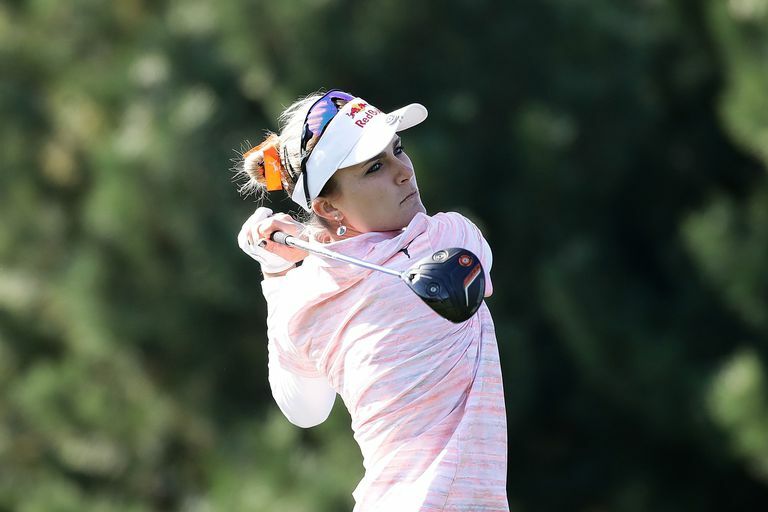 Lexi Thompson burst onto the national golf scene when she was only 12 years old; by age 16, she was already a winner on the LPGA Tour. Now in her 20s, she continues as one of the top players in women's golf. Thompson is a consistent threat to win and has had opportunities to take the No. 1 world ranking. Also Known As: Lexi is her nickname. Her full name is Alexis Noel Thompson. 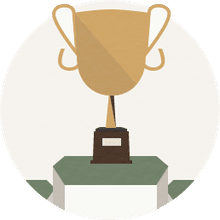 Key Accomplishments: Winner of 2008 U.S. Girls' Junior Championship; winner of 2014 Kraft Nabisco Championship, an LPGA major; LPGA Vare Trophy recipient for low scoring average, 2017. Fun Fact: At one time, Thompson was both the youngest-ever winner on the LPGA Tour and the second-youngest winner on the Ladies European Tour. In the major championships, Thompson has one victory so far, at the 2014 Kraft Nabisco Championship. But she has multiple Top 5 finishes in other majors, including a playoff loss at the 2017 ANA Inspiration. Lexi Thompson turned only 12 years old in 2007, but she wasn't too young to make the golf world take notice. The Florida pre-teen made national headlines when she qualified to play in the 2007 U.S. Women's Open (she missed the cut). She turned pro at age 15. She won on the LPGA Tour at age 16. It was quite a start to a golf career, but a start that Thompson continues to live up to. Also in 2007, Thompson won the Aldila Junior Classic, an American Junior Golf Association tournament, becoming the second-youngest AJGA winner ever. And she won the Junior PGA Championship, becoming that event's youngest-ever winner. In 2008, Thompson played in her second U.S. Women's Open (missing the cut, as she did in 2007). And won her only USGA championship, the U.S. Girls' Junior Amateur, becoming that event's second-youngest winner at the time. In 2009, Thompson won the prestigious South Atlantic Ladies Amateur). She finished 21st, tied for low amateur, at the LPGA major Kraft Nabisco Championship, after receiving a special invitation to play. And she made the cut for the first time at the U.S. Women's Open, finishing 34th. She played on the American team in the 2010 Curtis Cup, going 4-0-1. Afterward, on June 16, 2010, she announced she was turning pro. Not much later, Thompson finished runner-up at the 2010 Evian Masters, a tournament that was later elevated to major championship status. Late in 2010, Thompson petitioned the LPGA for extra playing opportunities. Although the LPGA denied the request, the tour did waive its 18-year-old minimum-age requirement to allow Thompson to enter the 2011 LPGA Q-School tournament. In 2011, Thompson won the Navistar LPGA Classic, becoming the youngest winner in LPGA history (a record since broken). She won again a couple months later on the Ladies European Tour. Her second LPGA win came at the Sime Darby LPGA Malaysia in 2013, her third followed later in the year. And in April of 2014, Thompson claimed her first victory in a major at the Kraft Nabisco Championship. Thompson was a consistent winner in the following years, with two wins in 2015, one in 2016 and two in 2017. In 2017, Thompson led the tour in scoring average (her 69.114 average was, to that point, the fourth-lowest scoring average in LPGA history) and won the Race to the CME Globe season points chase. She has had her share of troubles, too, however, including at the 2017 ANA. That was a tournament she appeared poised to win easily with a lead of several strokes in the final round. But Thompson was informed during the final that she was being penalized four strokes for something that happened the day before. She still managed to play her way into a playoff against So Yeon Ryu, but lost in extra holes. Thompson's two brothers are both professional golfers. Nicholas and Curtis Thompson have both played on the Web.com Tour; Nicholas has won on the Web.com Tour and been a PGA Tour member. In 2007, Thompson set a record as the youngest-ever qualifier to play in the U.S. Women's Open. She was 12 years, four months and one day old when she made it through qualifying. When Thompson won the the 2011 Navistar LPGA Classic at the age of 16, she became the youngest-ever winner on the LPGA Tour (a record since broken). In addition, Thompson has one victory on the Ladies European Tour (2011 Dubai Ladies Classic) and one on the LPGA of Japan (2016 World Ladies Championship Salonpas Cup).